After a memorable event, we usually have dozens of photos on our smartphones. Turning them into a beautiful slideshow video is a great way to save precious memories and bring atmosphere by adding background music. Happily, you don’t even need to transfer your photos to your computer to create a slideshow with music – there are lots of handy apps for smartphones. In this article, we’ll have a look at some picture slideshow apps for iOS and Android to help you choose the one that will match your needs best. Note, that all applications below are listed in no particular order. 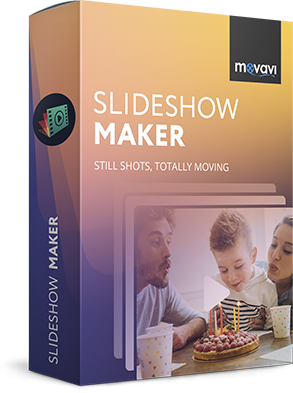 Before we start our review, we would like to recommend you try Movavi Clips – an easy-to-use slideshow maker app for iOS and Android. With this tool you can quickly transform your photos into a unique slideshow: just upload your photos and videos from your gallery, add transition effects, and choose the background music. You can use your own songs, too! The developers pay high attention to the users’ demands and issues and try to make the app as handy as possible. That is why it is trusted by thousands of smartphone users around the world. 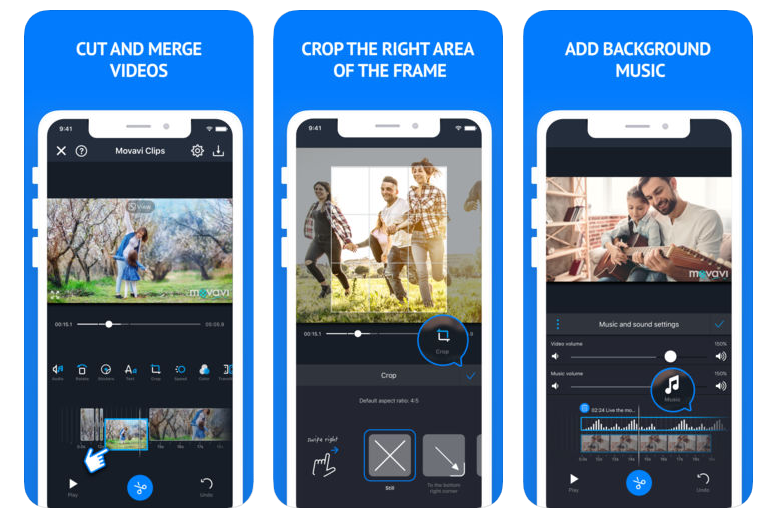 SlideLab is a great video slideshow app that has all the features you need to create a video from photos: touch up your selected photos with fancy filters, insert transitions between the pictures, add background music from the built-in collection or use your own audio track. SlideLab is perfect for active social media users since it can automatically adjust the aspect ratio and video duration for various social media platforms. Don’t want to dive into complicated settings and features? 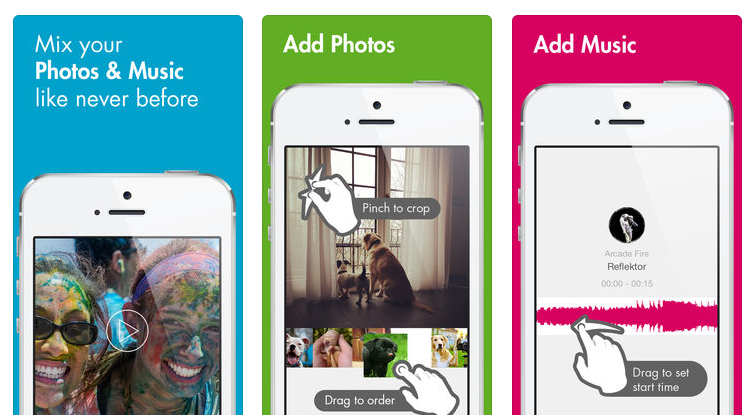 Then PicFlow is an app for you. Even if you have zero experience in making slideshows, its easy-to-use interface lets you create a slideshow right away. All you need to do is upload photos from your digital albums and jazz up your movie with a catchy tune. What’s more, you can even manually adjust photos to your music by dragging them along the timeline. 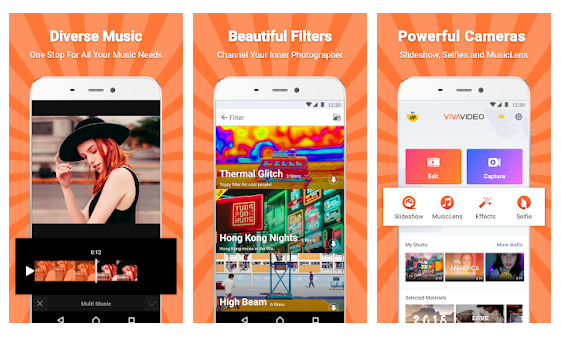 Vigo Video is more than just a slideshow making app. It’s a community where people share their video clips and slideshows. 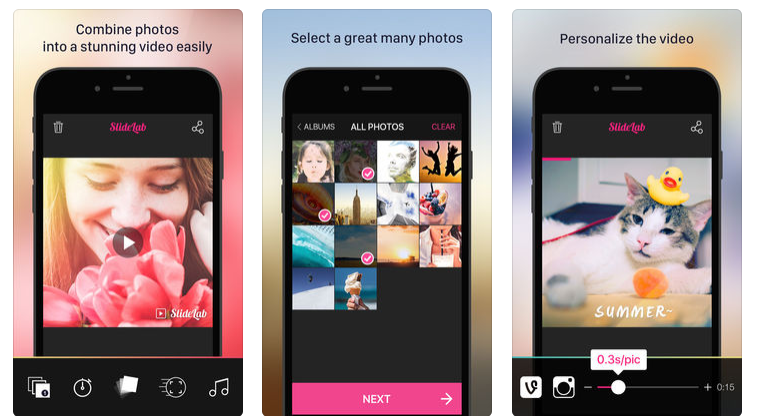 With this app, you can easily create your own video slideshow and choose the music track from the built-in library. Improve your music videos with eye-catching filters and effects, add stickers and text. Share your video with the community and let people rate your work. Videoshop is a professional slideshow video maker app that can help you transform your pictures into unique movies. This app includes an extensive collection of filters, transitions, and text settings. Moreover, Videoshop has lots of advanced options to make your slideshow look professional (tilt shift, color adjustment, etc). You can publish your video on many popular social networks, such as Instagram, YouTube, Facebook, Vimeo, and more. 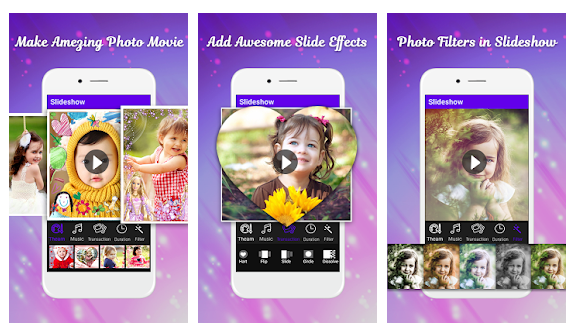 If you want to enhance your photos before adding them to your slideshow, then Slide Maker is what you need. This slideshow making app has a built-in photo editor that you can use to add amazing filters, crop images, rotate and zoom your photos. No need to worry about the background music – Slide Maker includes royalty-free tracks that you can add to your movie. Alternatively, you can upload your own song. 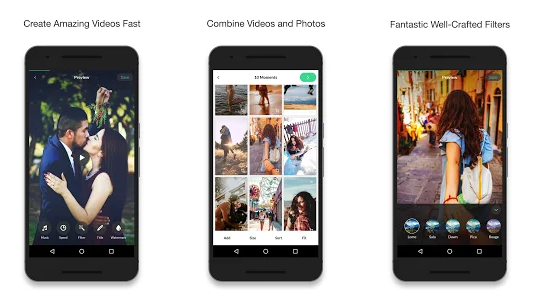 This app is perfect for Vine and Instagram users since it can automatically adjust the length of your slideshow for these social networks. One more slideshow maker for Apple devices is Flipagram. If you’re looking for something simple and basic, you may like this one. But if you’re an experienced user, you may feel that you lack some features. Some people say that transitions don’t look smooth enough, but, you know, tastes differ. The app has about a thousand 5-star reviews on App Store. The last but not least in this category is Photo Slideshow Director Pro. This app is not free, but $3.99 is a very inexpensive price point. Photo Slideshow Director allows you to make a full video of photos and music and then save the edited video in HD. However, some of the users report glitches, but this doesn’t happen for everyone. 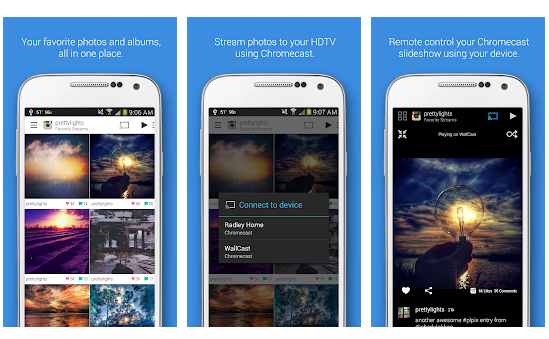 Pixgram is definitely one of the best slideshow makers for Android. First, it has an easy-to-grasp interface – even a complete beginner can quickly make a slideshow. Second, there’s a great collection of filters and effects which will make your photos shine. Third, if you don’t know which song to use for your slideshow, the built-in online collection of music will help you find the perfect audio track. Finally, with Pixgram, you can combine photos with videos and easily turn your slideshow into an awesome movie. If you already have some experience in slideshow making and video editing in general, then you should give Dayframe a try. This app has a ton of advanced editing features to make your slideshow look like a professionally edited film. Use Dayframe to customize your slideshows, turn your smartphone or tablet into a digital photo frame and enjoy your photo albums like never before. However, if you’re new to slideshow making you may find the interface a little complicated. This is a simple application for those who want to create a slideshow without putting much effort into it. It has all the basic tools such as filters, frames, and other options. You can also use the cropping tool to make your photos look their best. With Photo Slideshow & Video Maker, you can easily create cool slideshow videos and share them on Instagram and Vine. 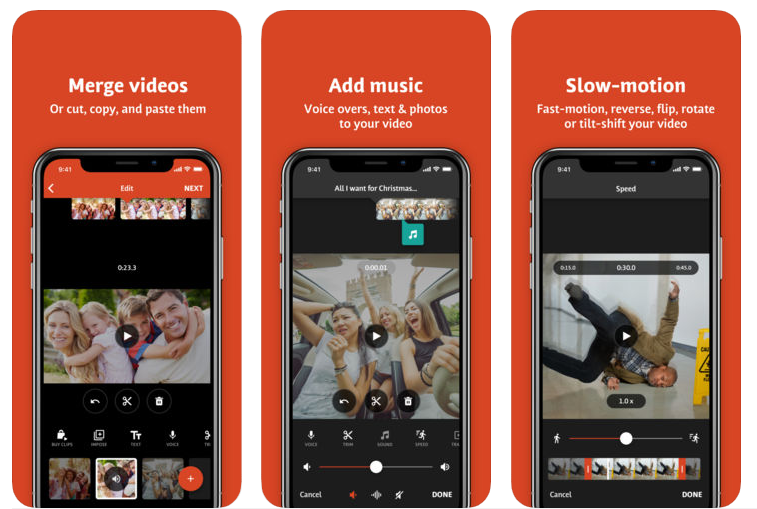 Viva Video is a powerful slideshow maker for Android that you can use to create awesome movies and share them with your friends and family. This video editor has a number of handy features that will make you slideshow better. Enhance your photos with special effects. Create funny pictures using fancy stickers. Explore the built-in music library to pick the song that matches the mood of your slideshow best. Viva Video is pretty easy to use, so it won’t take you much time to master the program and create your slideshow. Scoompa Video will help you impress your friends and relatives with a stunning slideshow movie. 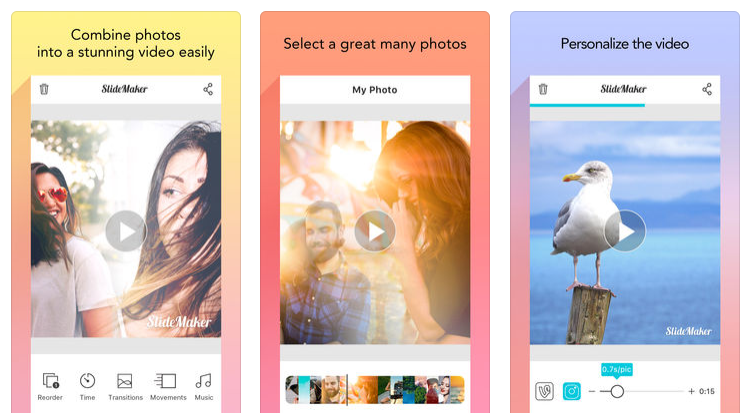 All you need to do is add your photos and videos from the phone gallery, enhance your pictures with filters, overlay captions, import your music, and that’s it. Besides, with this simple app, you can apply stickers, add frames, and easily share your slideshow on social networks. Scoompa Video is a perfect choice for those users who want to quickly create a slideshow with background music and special effects. Do you need both a photo editor and a slideshow maker? PicPlayPost is an app for you! 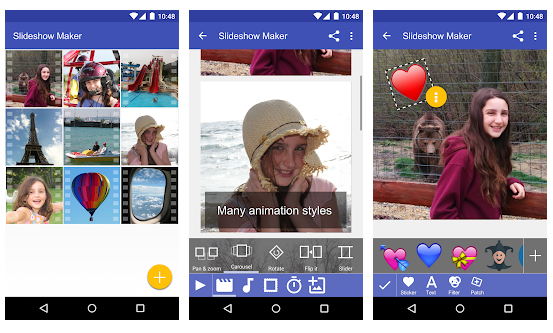 It makes amazing collages, even collages of videos and GIFs. The collages may be up to 10 minutes long, and that’s a lot of space to unleash your creativity. The only “cons” to it is that the app may be not suitable for less powerful devices. But it definitely worth trying. This 4.5-star app is definitely a worthy option. It’s an easy-to-use slideshow maker with a lot of free features. However, if you want to create a slideshow which is longer than 30 seconds, you’ll have to purchase a VIP. The interface looks very clear and user-friendly. 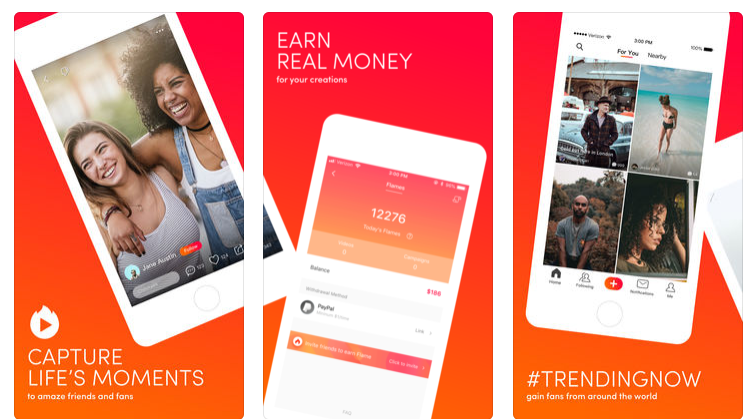 The app is popular mostly among Instagram users. Now it’s up to you to decide if you’re going to use it.